Menjangan is tropical Island surrounded by coral reefs and white sand. Sari Dive recommended Menjangan diving point that fish and great number of garden eel, and the points that are filled with coral. If you want to enjoy the tropical, You will be amazed ! Menjangan Island is famous as snorkeling point too. 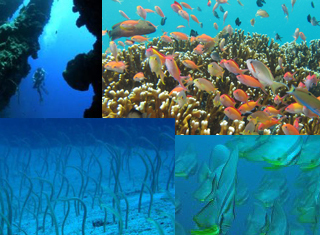 Sari Dive is located in the Kaping Bay. There are points of coral and white sand point, and reef points to Kaping Bay. 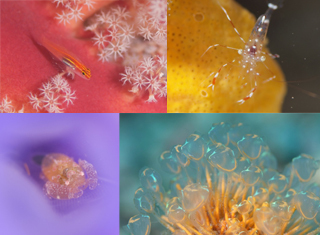 Photogenic many colorful soft coral and small fishes. Night diving is done in Kaping Bay. Banyuwedan Bay is narrow entrance. So no current and not so good Visibility. However, undescribed species lives a lot. In this area some deep creature is being in the shallow bottom. This area is popular for mania divers. Secreat bay is black sand beach point. It is a shallow water point MAX depth around 7m. 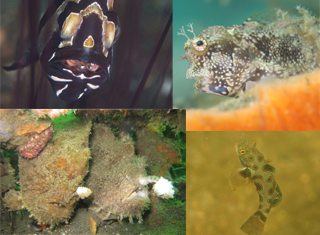 You can find many strange appearance creatures, some kind of scorpion fish, frogfish, kind of eels... etc. You will have experience for meet strange creatures!! Sari Dive House reef at the end of the bay. It is a point of fine mud particles because there is no current. Visibility is not good, but it is better in the morning. 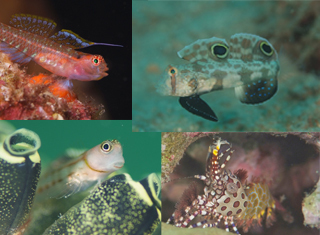 There is many mud goby, and cardinal fish, Baby fishes that is difficult see nomal diving point. Labuhan Laran is Bali Island side opened Bay. 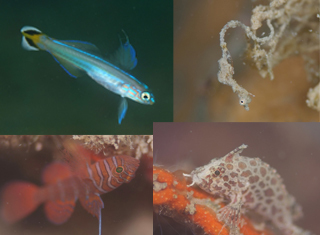 a lot of small cute fish can find in this dive points. 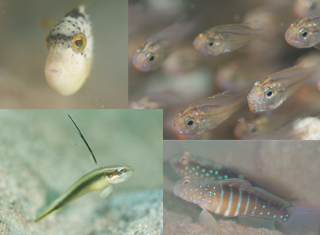 Such as goby of undescribed species also stay. You can take lone time for shooting because around here is original point of Sari Dive. without being disturbed by other divers. Pemuteran is the village's point on the eastern side of Sari Dive.Because there are intricate reefs, it has a variety of points, such as flowing points and inner bay points.